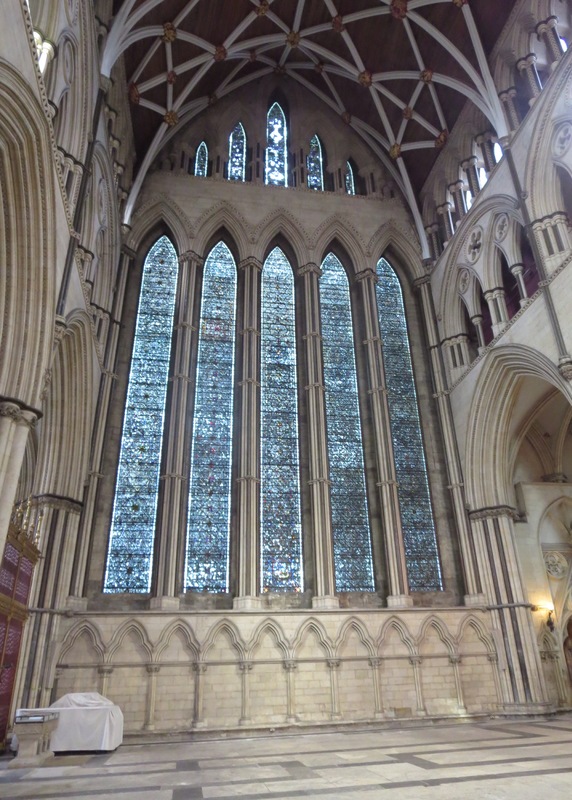 We arrived in York on Sunday afternoon. On the way there, our tour guide played a parody of Nelly’s “Hey Porsche,” called “Hey Yorkshire” which was pretty funny. 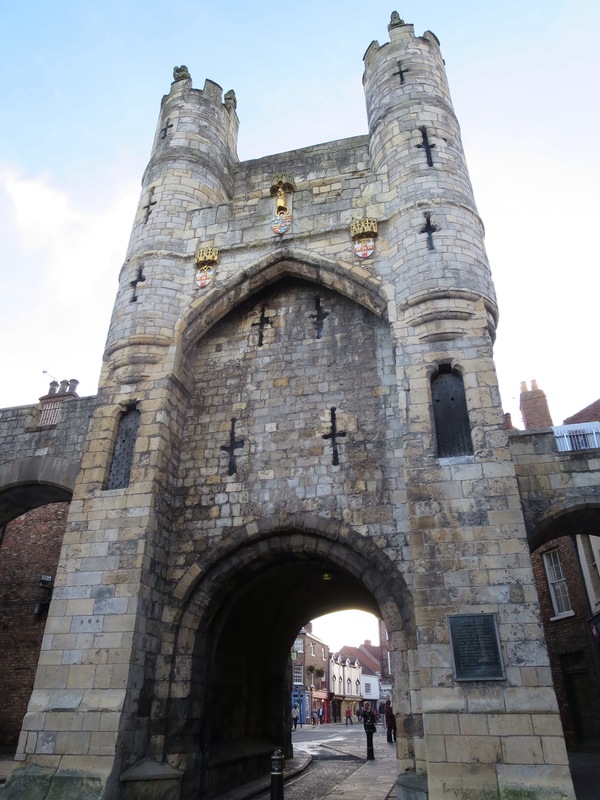 We started out with a walking tour of the city and learned some of the history of York. One of the historic areas is called The Shambles. The Shambles is an area where there were a bunch of butcher shops dating from medieval times. The name Shambles comes from the old term Fleshammels, which were the wooden blocks that the butchers used to display their meat. The Shambles in York are famous for being so well preserved and displaying some of the characteristics typical of such streets from that time period. One of these features is that the middle of the road is lower than the outer part. This is because the butchers would throw all of their meat waste into the middle of the street, and it would be washed away once or twice a week. Apparently, this is where the expression “to be in shambles” to describe something that is a big mess was derived. The other feature typical of this time period found in this area is how the buildings have overhangs really close across the street from one another. It’s been said that the buildings are so close across the street from one another that people can shake hands through the windows. After that, we had some free time. 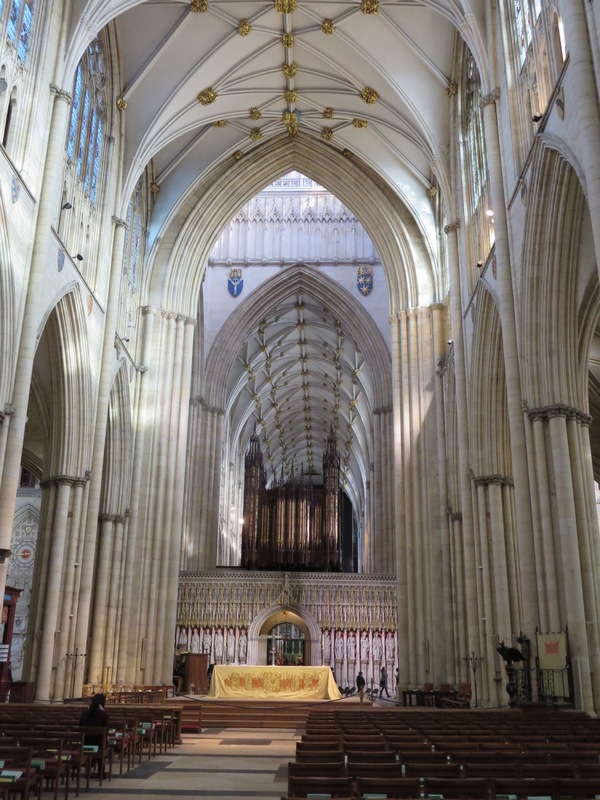 I started my free time at York Minster. It was a lot bigger than I expected, but not quite as impressive as some of the other churches that I’ve visited. 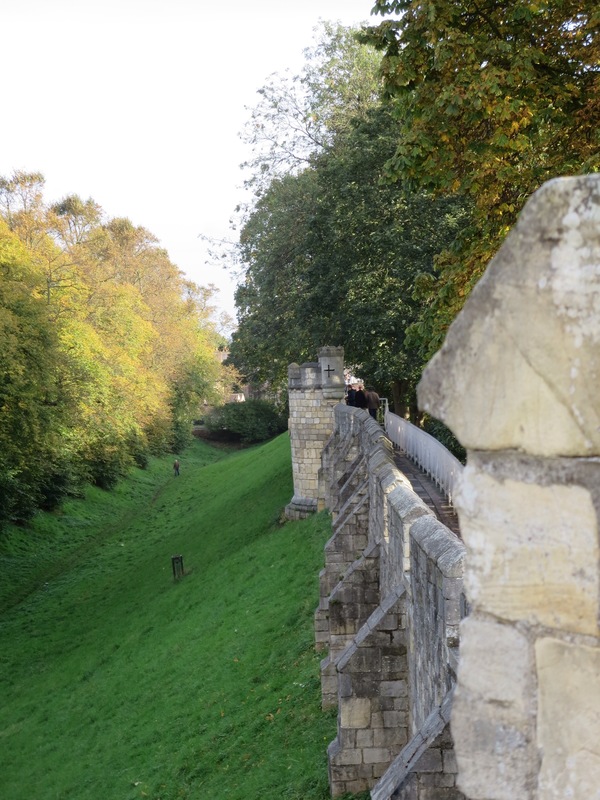 After that, I walked on top of the city walls for a bit. The last thing I did during my free time was to visit the Jorvik Viking Centre, a place dedicated to what was learned about the Vikings through an excavation in York in the 20th century. Part of the exhibition is something that I would describe as a ride like It’s a Small World, except with Vikings. Some of the robotic figures were very life-like, so it was a bit creepy. It kind of reminded me of the SNL skits where people are on a similar ride, but the robotic figures come alive and attack the visitors! 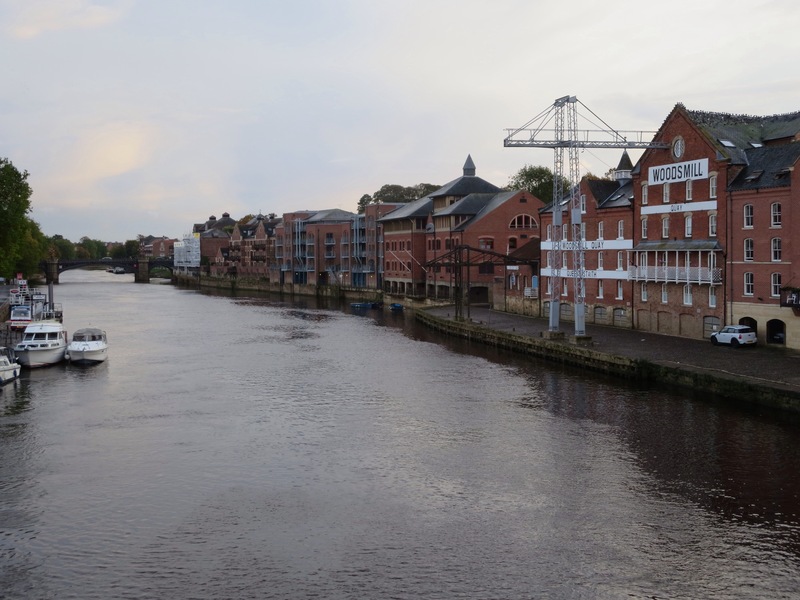 We had a group dinner at a pub by the River Ouse where I tried Yorkshire pudding for the first time. After dinner, we departed for our ghost tour of York. 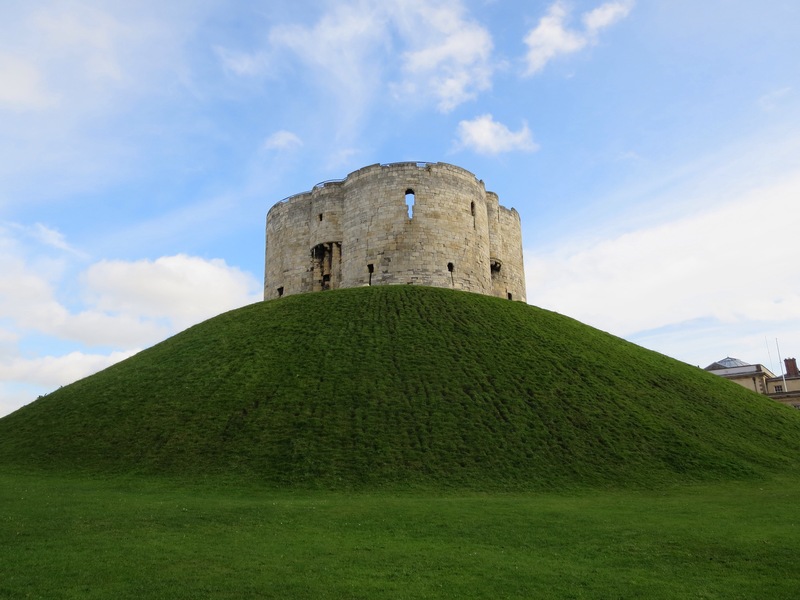 Apparently York is the most haunted city in the world. It was the perfect night for a ghost tour, being dark, cold, and drizzly outside. The guide took us to several places that have been known to be haunted by specific ghosts and told us their stories. The ones he told us about have been written about a lot in the press and have been experienced by many people in the same way, so people think these stories are “credible.” The first couple of stories were about people who were tortured to death during the 16th century for being Catholic. One of these people was later canonized as a saint, Saint Margaret Clitherow. The guide described how they were tortured in such great detail that I was more disgusted than scared. Another story was just really sad about a girl whose parents died from the plague. In those days, if someone got the plague, they would “quarantine” people by shutting them in their own house with their family and leave them there until they died. 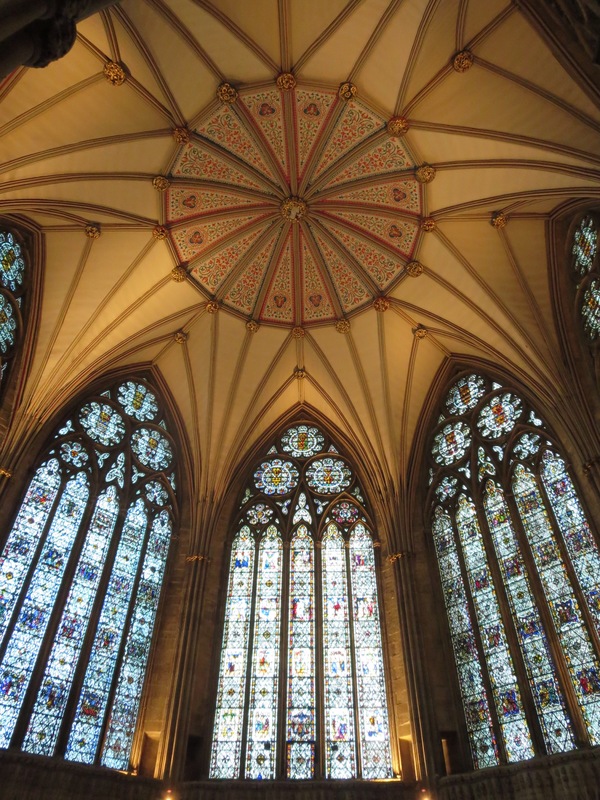 This happened to one little girl’s parents who lived by York Minster. The girl was somehow immune to the plague though, and was alive for some time in the house with her dead parents. Before she starved to death, passersby could see her crying at the window, begging for someone to let her out. Supposedly her ghost haunts the same window of that house, which is still standing by York Minster. Wow, it’s beautiful there. That story about the girl is really sad! 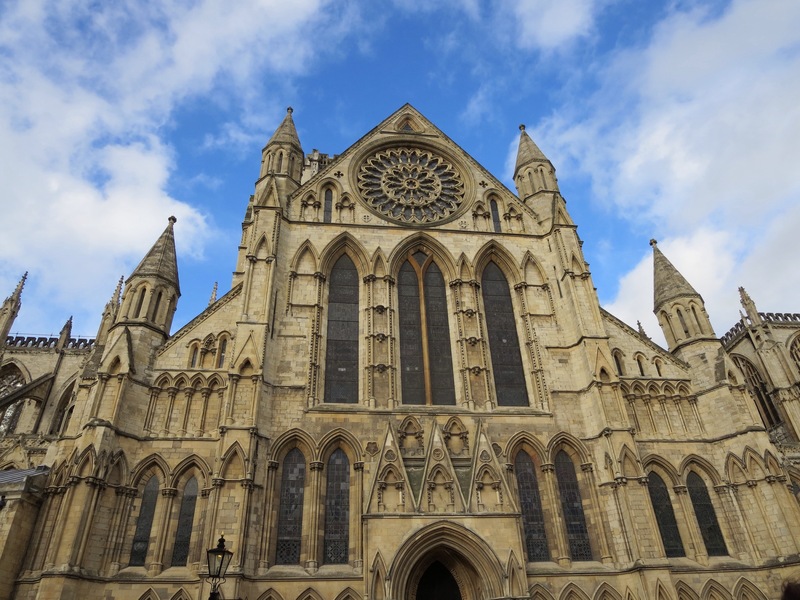 What’s the deal with York Minster being so small? Disappointing.